Hello, all! My young adult paranormal novel Darkridge Hall will be officially released this Friday, August 9th, but here's a sneak peek from chapter five. Enjoy! 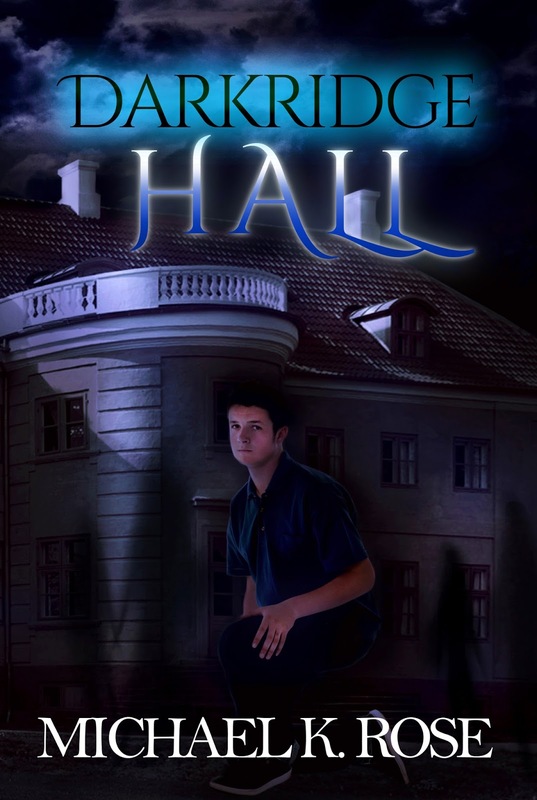 Update: Darkridge Hall is now available for Kindle and Nook! ANDY STARED AT the pounded tin ceiling two feet above him. The light from the moon illuminated the room enough so that he could just see the pattern. It was a pleasant night, and he and Dave had decided to leave the window open. Below him, his roommate was snoring lightly. Andy reached his hand up and touched the ceiling. Intricate scrollwork bordered each tile. It was rendered in the Egyptianesque motif popular during the Art Deco movement of the 1920s. Andy recognized it because after reading The Great Gatsby over the summer, he had embarked on a month-long study of the period. As was usually the case for him, the reality of the period had turned out to be more interesting than the fiction. Inside the borders of each tile were symbols which Andy recognized as Egyptian hieroglyphs. Andy had a general understanding of Ancient Egyptian history and culture, but he didn’t know enough about it to recognize what the symbols stood for. He decided then and there that he would rectify that. He did, however, recognize the djed pillar on some of the tiles. There was a definite Egyptian theme to the entire building, but again, it could have just been because of the popularity of Egyptian Revival architecture during the twenties, mostly spurred on by the 1922 discovery of Tutankhamen’s tomb and the treasures that it had held. As Andy lay quietly pondering the ceiling, he began to get the sensation that he was being watched. He propped himself up on his elbow and looked down at Dave. He was still asleep. Andy then turned his head and looked out the window. Just at the edge of the light being cast by the streetlamp was a figure, standing very still. It looked as though it was peering up at the second story of Darkridge Hall. In fact, it looked as though it was peering up at the very window out of which Andy was looking. Andy suppressed a shudder. In one fluid movement, he jumped down off his bunk and dashed to the window to get a better look. The figure sprinted away into the darkness before Andy could see any detail. Behind him, he heard confused muttering. Dave had been disturbed by the thump as Andy had hit the floor. Andy glanced in Dave’s direction but saw that his roommate was only stirring and not waking. He turned back to the window. Just as his eyes refocused on the scene outside, a flash of movement caught his eye. It had been near the same spot where he’d seen the first figure. It had retreated quickly, as soon as Andy had turned back. A sense of dread passed over him. He felt as though whoever—whatever—it was, it was stalking him. If he turned away from the window again, would it return? Would it move closer? Andy backed away from the window and hunched down. From his position, he could just see the spot where the figure had vanished. He hoped it couldn’t see him. After about a minute, something crept back into Andy’s field of vision. It appeared to be the same dark figure. Andy held his breath as he watched it. The head—or what seemed to be the head; the outline of the figure was indistinct—was scanning the windows of Darkridge Hall. Andy knew it had seen him before. Its reactions had coincided precisely with Andy’s movements. But what was it doing now? If it could still see Andy, it wasn’t making any indication. Andy realized that his lungs were beginning to protest, so he took a deep breath. Another flash of movement caught his eye. The first figure had been joined by another. No, several others. There had to be a dozen of them. Andy could see them creeping around the edge of the streetlamp. They skirted the aura of the light as though they were unable or unwilling to let it cast its full glare upon them. Unfortunately, that glare did not extend to the edge of Darkridge Hall. They could come right up to the building without entering the light. Andy tried to reconstruct the building in his mind. The front entrance of the dorm looked out over the main lawn and had lights on either side of the door. There was also a back entrance that was illuminated. The side opposite Andy’s window faced the road that passed by the school. But on this side of the building there were no doors and no lights, and the streetlamp that illuminated the road on the other side of the field was too far away. Immediately, Andy understood that for anything that shunned the light, this was the only approachable side of the building. But what were they? Were they local kids—townies, the seniors had called them—trying to scare the prep school kids? It didn’t matter now. 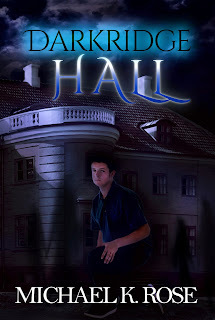 They were approaching Darkridge Hall, and even though he was on the second floor, Andy felt vulnerable. Anyone athletic enough would be able to scale the side of the building if they wanted to. He began to panic as they moved closer. They moved too strangely to be anyone walking normally. They crept. Andy watched as they came closer and began to zero in on his window. They got close enough to disappear from Andy’s sight. He’d have to lean out the window to see them now. Andy glanced around the room for anything he could use to protect himself. He noticed Dave’s camera sitting on his desk and snatched it up. He turned it on, blindly pointed it out the window and pushed the shutter button, hoping the flash would go off and scare them away. It did. A second later, he saw the figures retreat into the darkness. Andy stood, pulled the window closed and latched it. With shaking hands, he fumbled with the camera, trying to figure out how to review the photos. He found the correct button, and, as he squinted at the small screen, a chill ran down his spine. Whatever the figures were, they definitely weren’t townies. DARKRIDGE HALL ARRIVES AUGUST 9, 2013!